The fire was brought under control at around 03:00 local time on Friday, state TV said. One woman, who gave her surname as Xiang, said she had been concerned about safety and pollution levels at the plant for some time. "We knew we'd be blown up one day," said told AFP. 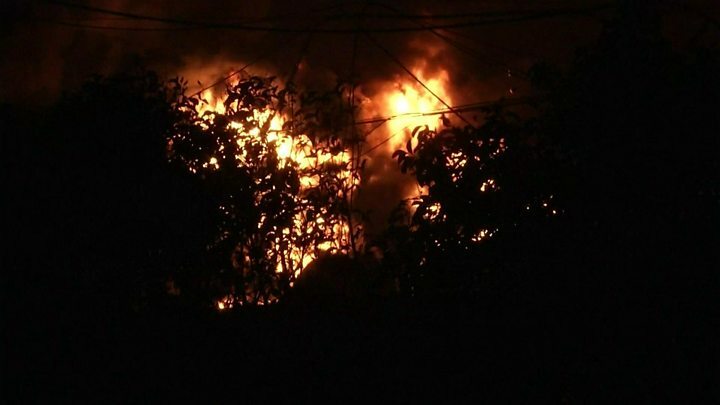 Reuters quoted local officials as saying there had been no abnormalities detected at the site before the blast, but that the province would be conducting emergency inspections of other chemical producers and warehouses. President Xi Jinping has called for an "all-out effort" to aid the injured and said authorities must learn lessons from the blast prevent future accidents.